Son of Reginald T. Wickham, and Mary O. Vassall. Education: RN College, Dartmouth (Admiralty No. 1294; Blake term; ...-28.07.1936). Married (10.03.1945) Liliana Scrimali, a Latin scholar and a Doctor of Languages from Sicily; one daughter, one son (twins). Only son of Engr Rear­Adm. Sir Henry William Wildish, KBE, CB (1884-1973), and Elfrida Phyllis Bryant, of Formby House, Formby, Lancashire. Married (11.06.1941, St Hildeburgh's Church, Hoylake) Leslie Henrietta Jacob (died 12.01.2009, aged 88), second daughter of Capt. C.W. Jacob, and Mrs Jacob, of Merle Dene, Bidston; two daughters. Education: RN College, Dartmouth (1928-1931); RN Engineering College, Keyham. Rep. RN at cricket, also RN, Combined Services, Devon, and W of England at hockey. Son of late J.G. Wildish, Naval Architect. Married (1911) Elfrida Phyllis, daughter of late H.G. Bryant, Milton Regis, Kent; one son [V.Adm. D.B.H. Wildish], one daughter. Education: King's School, Rochester; RN Engineering College, Devonport (1900-1904). Son of R.Adm. Henry Douglas Wilkin, RN (1862-1931), and Elfrida Iveson. Son of Dr. John Cooper Wilkinson. Married (28.04.1917) Mary Dorothy Low, daughter of Sir Austin Low; one son, one daughter. Son of John Withers Wilkinson, OBE (1885-), and Victoria Annabel Redhead (1887-). Moved from Barrow to Hastings, then to Bournemouth, where he was a loss assessor. Son of William Wilkinson. Married (15.05.1933) Marjorie May Elizabeth Eley. Son of George Robert Wilkinson, vicar of Bamburgh, Northumberland, and Rosamund Fogg-Elliot. * Though injured by flying debris and partly blinded by fumes, Lt.Cdr. Wilkinson, with great fortitude and determination, three times tried to take his ship alongside a burning merchant ship carrying high octane petrol in order to tow her clear. When this proved impossible, he towed another ship to safety. Elder son of Walter John Wilkinson, brewer, and Mary Ethel Marsden. Married 1st (14.07.1934, Chesterfield, Derbyshire) Mary Elgin Galloway, youngest daughter of Mr & Mrs H. Fox Galloway, of Miami, Florida, USA. 1st son of Maj. Barton Newton Wallop William­Powlett (1871-1953), and Emily Charlotte Tyndall Reibey (died 1954). Brother of V.Adm. Sir Peveril B.R.W. William-Powlett, RN. Married (1929) Barbara Patience Greenwell (29.08.1906-10.1997), daughter of Bernard Eyre Greenwell; one son, two daughters. * Very strongly recommended. This officer showed wonderful coolness under most trying circumstances, and his pluck and cheerfulness after the ship sank were certainly the means of saving the lives of several who would otherwise have given in and succumbed. I cannot speak too highly of this young officer's conduct throughout. 2nd son of Maj. Barton Newton Wallop William­Powlett (1871-1953), and Emily Charlotte Tyndall Reibey (died 1954). Brother of Capt. Newton J.W. William-Powlett, RN. Married 1st (1923) Helen Constance (died 1965), daughter of James Forbes Crombie, Aberdeen; three daughters. Married 2nd (1966) Mrs Barbara Patience William­Powett (29.08.1906-10.1997), daughter of Sir Bernard Greenwell, 2nd Bt, MBE, and widow of his brother Capt. Newton J.W. William­Powlett, RN. Governor of Southern Rhodesia 26.11.1954-28.12.1959. Vice-Chairman, Appledore Shipbuilders Ltd, 1974 (Chairman 1962-74). High Sheriff, 1972. Deputy Lieutenant (DL), Devon, 03.05.1973. KStJ, 30.12.1954. Son of Charles Williams and Elizabeth Malherbe. Education: Graeme College, Grahamstown, South Africa; Royal Naval Engineering College, Keyham. Third son of A.E. Williams, Ashford, Kent. Married (1947) Philippa Beatrice "Pippa" Stevens, elder daughter of Mr & Mrs H.G. Stevens, of Halifax, Nova Scotia, Canada; two sons. 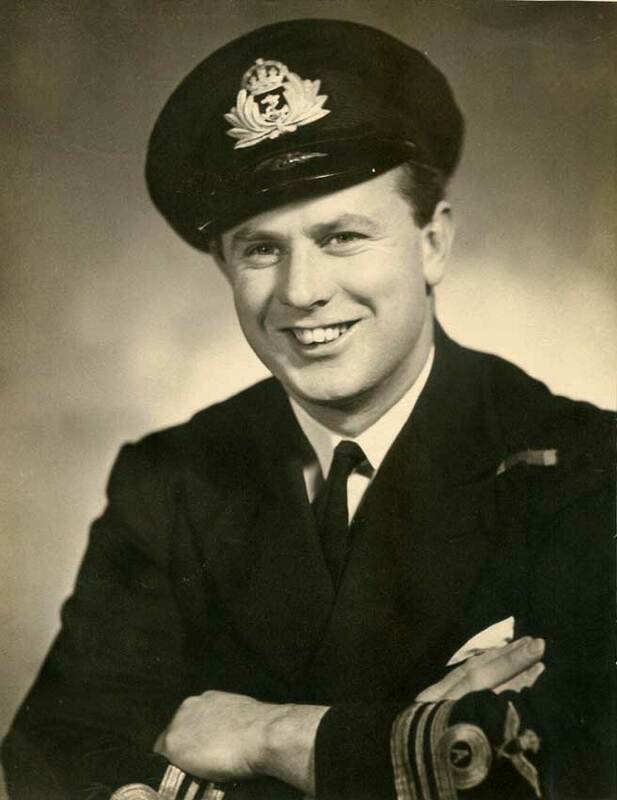 Education: RN College, Dartmouth (01.05.1935-20.12.1938; Hawke House; Admiralty No. 1550). Governor & Commander-in-Chief, Gibraltar, 1982-1985. President, Ex Services Mental Welfare Society, 1979-1991; Chairman of Council, Missions to Seamen, 1989-1993. Member: Commonwealth War Graves Commission, 1980-1989 (Vice Chairman, 1985-1989); Museums and Galleries Commission, 1987-1993. Hon. Liveryman, Fruiterers' Co.; KStJ 1982. DL Devon, 1981. Son of Dr. George James and Joanna Williams. Married (30.01.1943, RN College Greenwich, Kent) Mary Andrea Greene (1915-), elder daughter of A.E. Green, MA, BSc, and Mrs Greene, of Blackheath, London SE3; two sons, one daughter. Son (with two brothers) of Charles Edward Campbell Williams (1882-1960), and Ruby Towers (1887-). Married ((12? ).1940, Bodmin district, Cornwall) Nina Margaret Marsh (15.10.1905 - 12.1987), daughter of Louis Victor Marsh, and Margaret Owen; one son. Wireless watcher, General Post Office, 22.10.1936-1937. Police constable, Metropolitan Police, 26.07.1937-12.06.1938. Son (with two sisters and two brothers) of John Charles Williams (1863-1902), and Mary Ann Beavis Thompson (1865-1950). Married Lily Beatrice Hitchcock (14.10.1899 - 14.10.1981), daughter of Frank John Hitchcock (1872-1943), and Lavinia Lilly Ballard (1865-1951); three children. Son of Mr & Mrs J. Williams, of Christchurch, Hampshire. Married 1st (07.02.1940, Kensington, London; divorced) Isabella Thompson, only daughter of the late Mrs M.B. Thompson, of Campden Hill, London W8. Married 2nd (1961?) Mary Olive Junee Cornell (1911-2002), Australian actress, daughter of actor Benjamin Arthur Cornell and actress Olive Dorothea Graeme Wilton. Son of late Herbert Bourdillon Willis. Married (1916) Olive Christine, CBE, daughter of late Henry E. Millar, Hampstead; two daughters. * For distinguished services in preserving the efficiency of the Torpedo and Depth Charge Armaments of the First Destroyer Flotilla. Education: Eastbourne College; HMS Britannia. KStJ 1948; Deputy Lieutenant (DL), Hampshire, 16.04.1952. Son of ... Willis, and ... Barnes. Master at Wanganui Collegiate School. Changed last name by deed poll of 08.08.1965 to Clogstoun-Willmott. Son of H.M. Wilmott, of Trebovir Road, London SW5. Son of Ernest and Mabel Willmott; husband of Marjorie E.F. Willmott, of Sherborne, Dorsetshire. Son of Rev. Nesbit E. Willoughby, Vicar of Bickington, Devon, and of Marjorie Helen Willoughby (née Kaye). Married (1923) Mary, daughter of J.G.W. Aldridge, AMICE, Wimbledon; one son, one daughter. Son (with four brothers and two sisters) of the Very Rev. John Skinner Wilson (1849-1926), Dean of Edinburgh, and Eliza Mary Jane Clyne. Married (1946) Alison Mary Hopwood (16.06.1912 - 22.04.1998), daughter (with one brother [Brig. John Adam Hopwood, CBE, DSO (1910-1987)]) of Ernest Hopwood (sometime Managing Director of Wolseley Motor Co.) (1847-1929), and Constance Marion Adam (1872-1956); one son, one daughter. Son of the Rev. Francis Wilson (died 1932), and Edith Wilson. * For good service, leadership and resource during captivity in Germany in organising escapes from the prison camp over a period of several years, by which means valuable information was received by the War Office. Commanding Officer, HMS Marshal Soult (monitor) ? Son of ... Wilson, and ... Noble. Son of Walter Noel Wilson (1858-1924), and Edith Eames (1865-1910). Married (16.12.1924, Mottingham, London) Alice Elizabeth Mercer-Davies (1902-1969); four sons, two daughters. Education: RN College, Dartmouth (01.09.1937-1941; Admiralty No. 1866; St Vincent House). Son of Col. Rev. William Edward Wingfield and Elizabeth Mary Trench. Married (1936) Sheila Mary Leschallas (died 06.04.2006, aged 96); one daughter, two sons. Education: Rusmoor School; Nautical College, Pangbourne (1924); RN College, Dartmouth (01.1925-...). Between time at Liphook Golf Club and the Royal Yacht Squadron, Wingfield was, for nine years, marine manager of United Dominions Trust, arranging mortgages for yacht owners and hosting Beaujolais, beef and Stilton lunches at the Earl's Court boat show. In the 1970s he obtained his master's certificate and made several voyages as Second Officer in a Fyffes banana boat, a small timber ship in the Baltic, and as a yacht deliverer. Son of William Winning, PT instructor in the Navy 1899-1919. * In some sources incorrectly shown as MVO. Son of Horatio Peter Stanley Wise (1882-1953), and Dora Rice. Principal, Technical Training Institute of the Royal Saudi Air Force at Dhahran (1968-1970); General Manager, Airwork Services Ltd, at Dhahran (1970). Voluntary Services Organiser, St Stephen’s Hospital, Fulham (1976-1982).